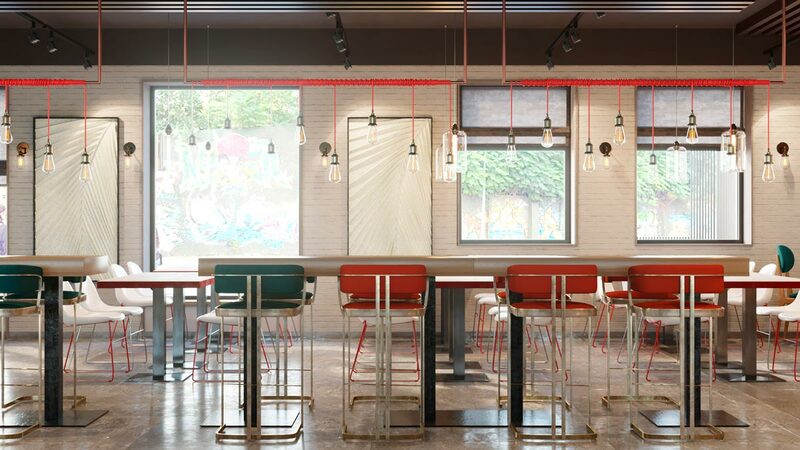 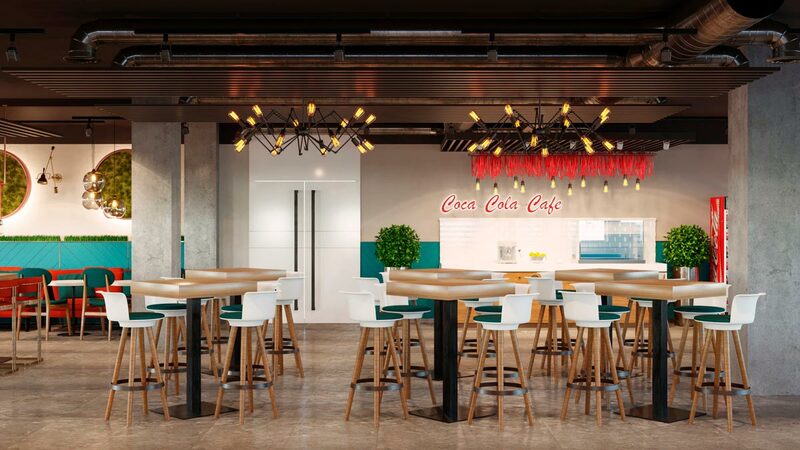 It was our solution for coffee area at production facility of The Coca-Cola Company. 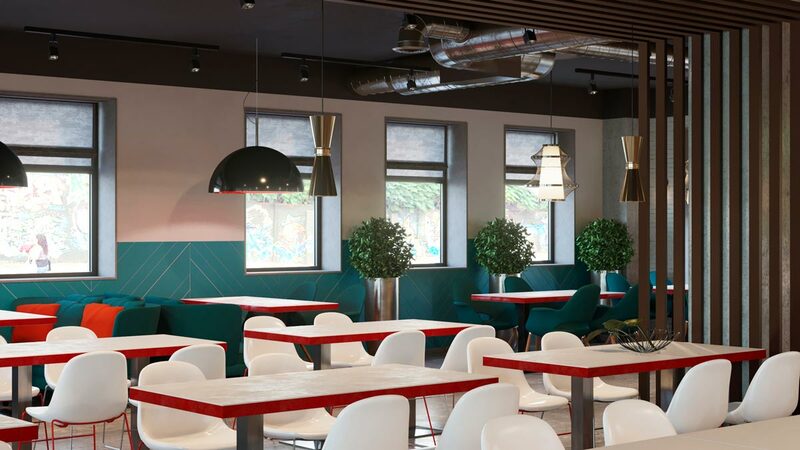 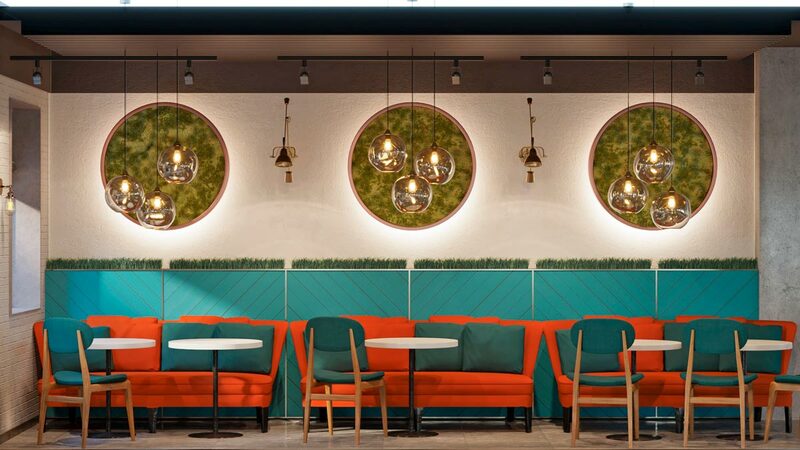 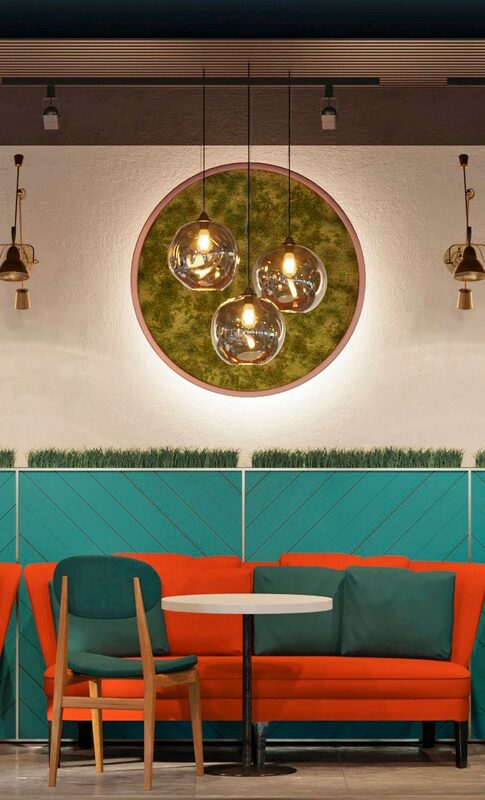 The place, where employees can have a rest, a lunch or just spend some time together. 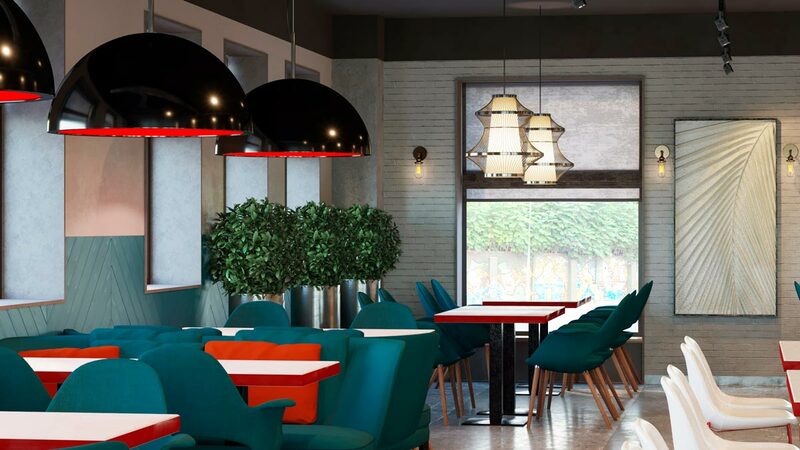 That is why the design included mild colors with bright red corporate details.